You don't want to miss this shopping extravaganza! Thousands of items fill a HUGE venue. We have the following items at our sale events: boys and girls clothing (newborn- juniors), boys and girls shoes (newborn- juniors), toys, books, games, baby gear, strollers, infant items, kid's furniture, room decor, and more. 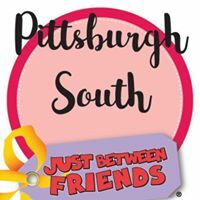 Buy your tickets today to shop Just Between Friends - North America’s leading Children's and Maternity Consignment Sales event! Friday, April 26th- 9am - 8pm $3 Admission all day but use this pass to get in FREE! Sunday, April 28th - 9am - 1pm - Many items 50% off! 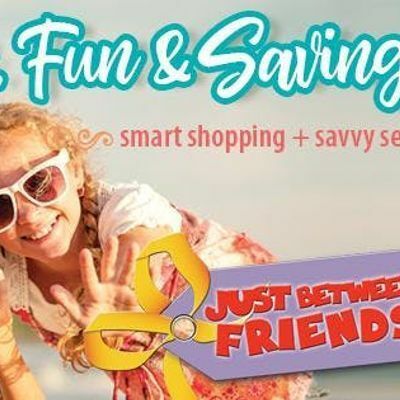 *If you would like to shop BEFORE the public to get the biggest selection and the best prices you can purchase a PRIME TIME SHOPPING Pass - HERE! For more information please visite cGl0dHNidXJnaHNvdXRoIHwgamJmc2FsZSAhIGNvbQ==. Want to stay up to date on all things JBF? Text JBFPITTSOUTH to 72000! There is plenty of parking in front of the sports center and overflow parking on the sides of the sports center. You can bring your own resusable shopping bags to hold your items. Another great idea is to bring a laundry basket with a rope or belt tied to it to drag your items around while you shop. We do have some large reusable totes available to use while you shop but they are available on a first come first serve basis. You can contact Kelly at 412.407.4671 (text!) 724.417.8220 (call/text!) or cGl0dHNidXJnaCB8IGpiZnNhbGUgISBjb20=. You need to bring either a printed copy of your ticket, or you can show your ticket on your smartphone at the door.